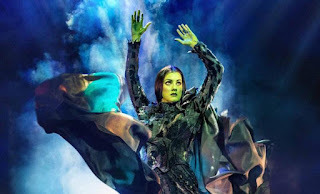 Alice is currently playing the lead role of Elphaba in the London production of WICKED, after having previously been the standby for the role. The Woman in White (Palace), Les Misérables (Queen’s), Annie Get Your Gun (Young Vic); ‘Rapunzel’ in Into the Woods (Regent’s Park), ‘Gingy’ in Shrek The Musical (Theatre Royal, Drury Lane), ‘Renee’ in Dirty Rotten Scoundrels (Savoy) and ‘Nancy’ in Oliver! (Watermill Theatre, Newbury). She took time out of her greenifying to have a little chat with us. You were previously the Standby for Elphaba in the London production of Wicked, when did you find out you’d be taking over as the lead? Well I’d been auditioning for quite a few years for the show, when I’d be able or free to do so I’d be auditioning for it. Weirdly actually, this last time I auditioned, when I got the standby, I said that was my last time I was doing it. I think that might have been my fifth time auditioning, I remember calling my mum and saying “this is the last time now, I can’t be put through the wringer if I’m not going to get this.” I thought this was my last time and if I get it great, if I don’t then I can move on. And thankfully I got it, then obviously a year later I got the upgrade to play the lead full time. I think I was in the kitchen with my fiancée, Gavin, who was cooking lunch and my agent called me and I knew it would be about this because I’d auditioned to play the lead again so when I was the standby I had to go back and do all the stuff again so I knew I was waiting for a phone call with a yes or a no. My agent had me on loud speaker so I did think it was something quite important because the whole office could hear, and he said I got the job and I was so shocked and surprised I think I threw the phone across the room towards Gavin and he was saying “What?! What? !” and I just said they’ve given me the part. And immediately we got a bottle of champagne out of the fridge and started pouring it because it was something I wanted for so long. So, it was a pretty good day that day! What was your first exposure with Wicked? When did you first see it? When it first came over here, into London, I was in Les Miserables at the time. So, I knew it was coming and I listened to the soundtrack like everyone did because it was it was a really big show at that time that everyone wanted to be in. I saw it about three years into the run because I just didn’t get the chance, I was in other shows or working evenings already. 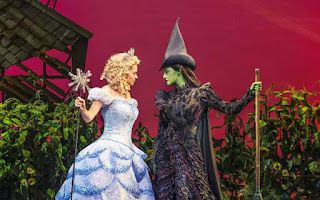 I had a college friend, Sarah Earnshaw, who was standby Glinda and I went to see her so the first time I saw it was watching her as Glinda. And I could see then that I wanted to be involved with it in some capacity but I didn’t know what at that point. 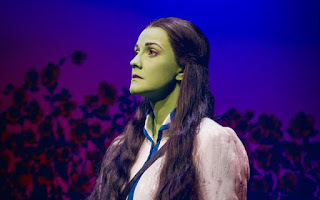 Is Elphaba a role you thought you’d ever get the chance to play? I’m never someone who sees a show and thinks ‘I will play that’, that’s not a negative or me dumbing myself down but I just don’t ever see it like that. I just sit there and go ‘I could really play that part, I could really do that’. So, I see myself doing it, but especially in the business nowadays you know the reasons why you don’t get jobs and it’s not necessarily because you can’t do it, more often you can, but for whatever reason you don’t get that job. So, I never let that become part of my psyche. I did look at it and go ‘I could play that and I could really play it well’ so it was nice to finally get my chance to do it. 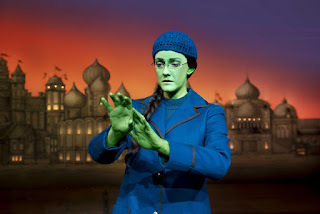 How do you manage to do 8 shows a week in this huge role? Do you have any regimes or secrets you follow? maintain it as opposed to stretching to them all the time. As long as you’re healthy and fit you can do it so I just make sure I am and if I’m not, then I take a show off but it is a really demanding show and a demanding role, bigger than I thought it was so you just have to take the time you need if you need it. Did you get any tips off any of the ladies who played the role before? Willemijn was great; she’s a very calm, cool cat. She doesn’t let too much get to her, she does her job and she’s very professional and she doesn’t panic. So, learning off someone like that is vital, there’s no point panicking or taking it too seriously. It is what it is, you know what it is and the more you get used to it the more you feel you can do it and then you also know more when you can’t do it. So just keeping a calm head is something I learnt when I was the standby. I’ve always been that kind of person anyway, but seeing those women able to do it 8 times a week makes you think, well if they can do it then I have to be able to as well. Which I think is a good mentality. 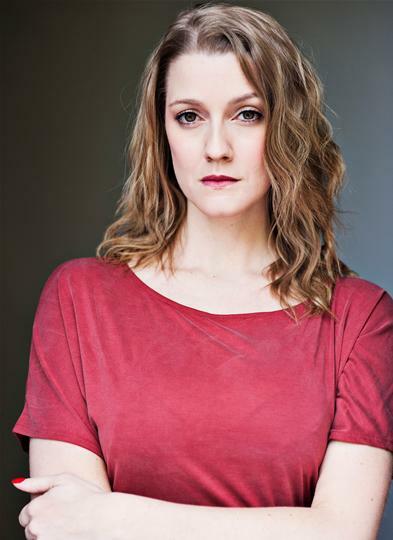 You’re leading lady is Sophie Evans, but you get the chance to play opposite lots of different Glindas. What’s your favourite thing about working with different people in the same roles? age and I love that I can sit back and think, you’ve done an incredible job there and be there for those moments. So I love it and it doesn’t get much better than that really. You’re list of credits are incredible but what’s been one of the most special jobs for you? 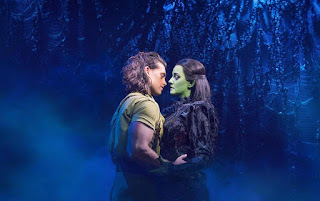 I have to give two answers to this, creatively I’d have to say Into the Woods at Regent’s Park Open Air Theatre, it was an exceptional production and I got a lot out of it. It was such a short run but we did such wonderful things with that show, it was so perfect in its setting, was lovely to do a Sondheim and with such a brilliant cast. But if you were going to say the word special, I’d have to say Dirty Rotten Scoundrels. Not only was it a show I’d longed to do, which I never thought would ever come over here or that I’d be involved in it, I met some of my best friends I’ll keep for the rest of my life in that show and I also met my Fiancée. So, it has so many special attributes. So as you mentioned Dirty Rotten Scoundrels, I loved the show and think it was pure brilliance. You understudied two very different roles in that show, how was that for you? I definitely queried it with my agent when I got offered those two covers, I asked if he was sure Muriel is on that and he said yes. So, I didn’t really understand that. But when we started rehearsals our resident director, Dominic Shaw, said that my playing age and range was Christine Colgate but me as a person was actually more like Muriel. So, he said I just had to think of it like that and I was a little apprehensive about pulling that off because it was a strange thing to be dealt, playing someone who is noticeably 20 or 30 years older than you. But I am quite creative and I like to be challenged so I ran with it and I absolutely loved how varied they were. I think one Friday I was playing Christine and on the Saturday, I was Muriel and they are absolutely opposite ends of the scale character wise and vocally wise as well so it was the ultimate challenge and I loved that. In the end, I adored playing Muriel and I wanted the show to run for years and years so I could come back and play it for real. You brought out your own album about a year and a half ago, if you were to record another one what would you do differently and what would be on it? That one had a specific theme in that I wanted to showcase artists and music that had inspired me as a kid and stuff that still inspires me now to change and grow as a performer so it sort of had its own theme so I wouldn’t want to do it different because it perfectly portrays what I wanted it to. Now I’ve got a million ideas; stuff that’s inspiring me still, stuff I have always longed to record but for me I never like an album for the sake of an album. I like there to be some sort of reason behind it and that could be small. I wouldn’t change anything about that one but without a doubt there’s more stuff in my brain that I’m dying to record. I think there’s to many ideas in my head to not do another one! What was the best lesson you were ever taught? I had this brilliant piano teacher growing up, called Hannah, we’re still friends now as she lives in the same area as my parents. She taught me piano from 5 years old and I think without even saying it she taught me to not take anything too seriously. Especially when it comes to this business, life can be full of drama and you can ride those waves but not take yourself too seriously at the same time. In this business if you can sit back and think c’est la vie then you’ll ride through it and actually I think that helps me survive the ‘no’s’ a lot of the time. I also had a teacher at drama school and he said, “always be kind, be kind to everyone”. Not only is that the right thing to do but you don’t know who you’ll meet down the line and you don’t want to burn your bridges too quickly. So, I think that was a valuable lesson, I don’t think I’m particularly nasty but you do never know who you’re going to meet. 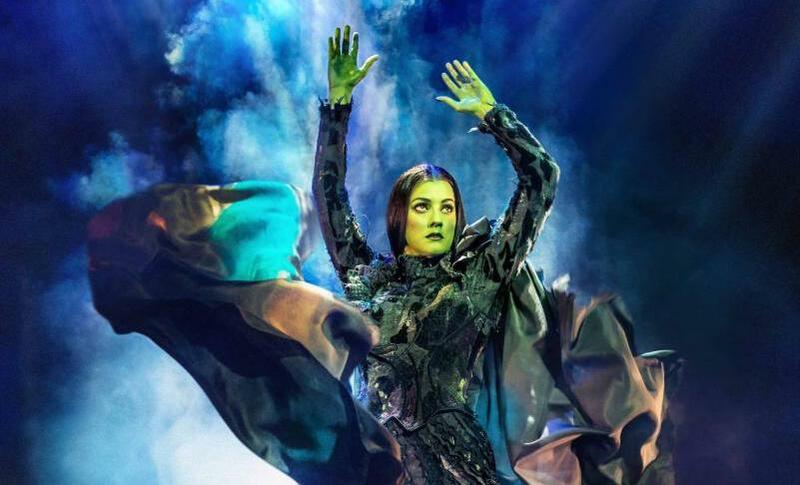 Wicked has been running for a long time in the UK, celebrating its 10th Anniversary in 2016. What do you think is the key to its success? I could say the obvious things like the music and the spectacle but I think, and hope, it’s the themes that run through it. There’s a great sense of friendship, love, forgiveness, of what’s right and wrong and I hope it’s that really. You go there and come out thinking what happened there was right, it gives you a positive outlook and I hope that’s why it is so successful. If Glindas magic wand could put on any show and you could play any part, what would it be? My answer used to be Val Jean in Les Miserables, and since then I saw Big Fish on Broadway. The second Norbert Leo Butz walked onstage to the second he left I think I cried. It was such a well written musical and brilliantly portrayed by Norbert Leo Butz, he was so excellent in it. The story was so perfectly told that I saw there and thought “if only I was a man!”. So since then I want to play that part in Big Fish! Could you tell us an embarrassing on stage story? I probably have loads and I’m sure people would remind me of them too! I think my favourite that I have in memory is in Shrek I wore this tutu dress as a fairy and it was quite low cut and I had the gingerbread puppet on my right-hand side. Once, it got caught completely in this dress and I turned around and noticed the entire right side of my bra was out for all the audience to see and that was not an old audience, there was a lot of children! I was mortified and I think I definitely went off crying. I think I found it funny a couple of days later but that was probably the most embarrassing moment of my life on stage. We’re celebrating 5 years of our website in January, so to celebrate this we’re asking people what theatre means to you? For me personally, as a performer, I love that you get to take the audience to another world for a couple of hours, no matter what that world is. If it’s a story from the history books or fiction or whatever. You can take them away from their lives to escape and they can lose themselves in that story. You’re making them laugh, making them cry, showing them a spectacle, whatever it is you’re taking them away and maybe even changing their minds on something or giving them a new perspective on something else and I think that’s amazing. The fact we get to do that to thousands of people every week is really special.